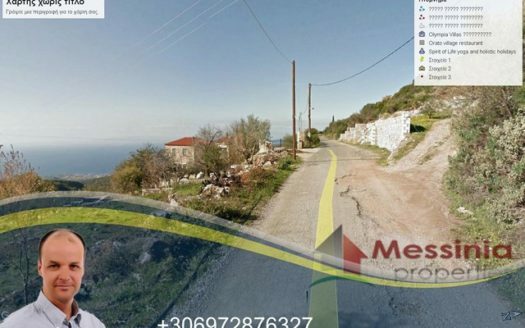 PLOT FOR SALE IN NEOCHORI OF MESSINIAN MANI – 2800 SQ.M. AND CAN BUILD 200 SQ.M. IN ONE OR TWO INDEPENDENT HOUSES. DISTANCE FROM THE KALORIA BEACH TO STOUPA IS 2 KM. THE VIEW IS FANTASTIC AS YOU CAN SEE PANORAMICALLY ALL MANI AND TAYGETOS MOUNTAIN.